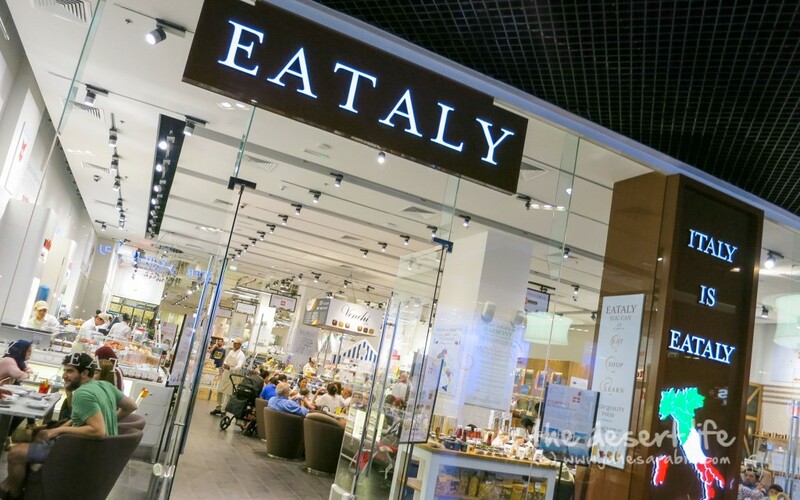 You can dine in one of Dubai’s high-end restaurants, which works out months cooks world’s recipients of the star Michelin guide, who specialize Italian cuisine, Asian and Arab and seafood. 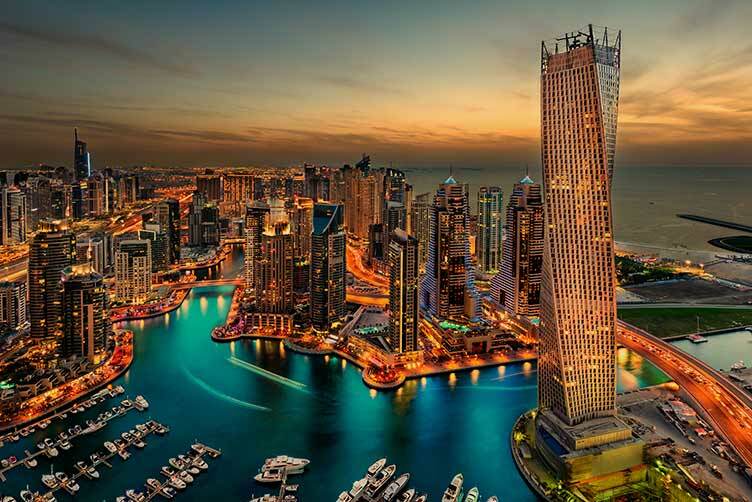 Also found in several city-owned restaurants for those celebrity chefs such as Chef “Gordon Ramsay” and “Gary Rhodes” and “Pierre Gagner” in the Hilton Dubai Creek and mezzanine and Raffles Dubai and Noble House. 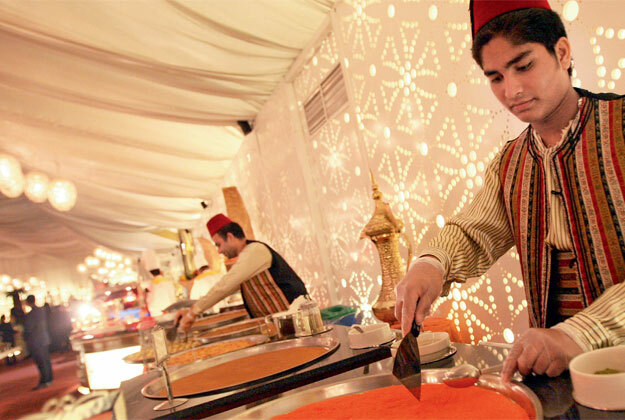 On the other hand you’ll find on the streets of Dubai popular cuisine restaurants, especially in the hospitality Street, which are advised to visit the restaurants “Cedar” and “Pars Iranians Kitchen” and “Rafi”. 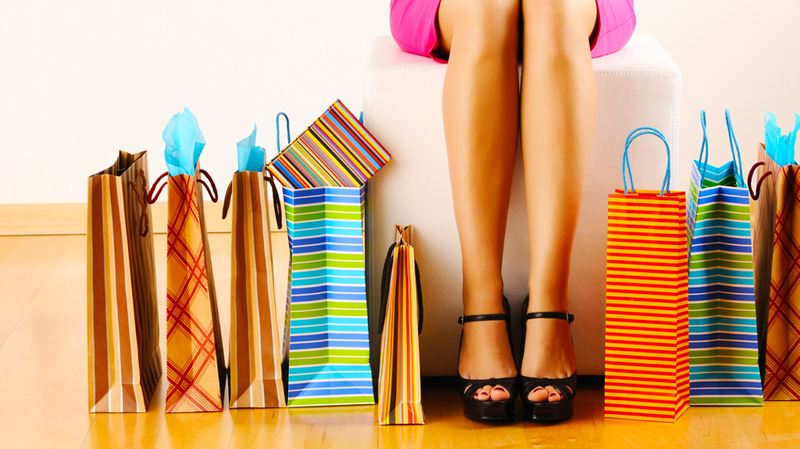 Featuring shopping experience in Dubai from those of the capitals of international fashion such as New York, Paris and Milan, highly luxurious, and being more than just a tour of the center of fashion and jewelry shops, and even a trip to another world of creativity in the major shopping centers, the UAE which includes a ramp Theljia can ski it by using tools snow sports and winter chalets middle of the desert! 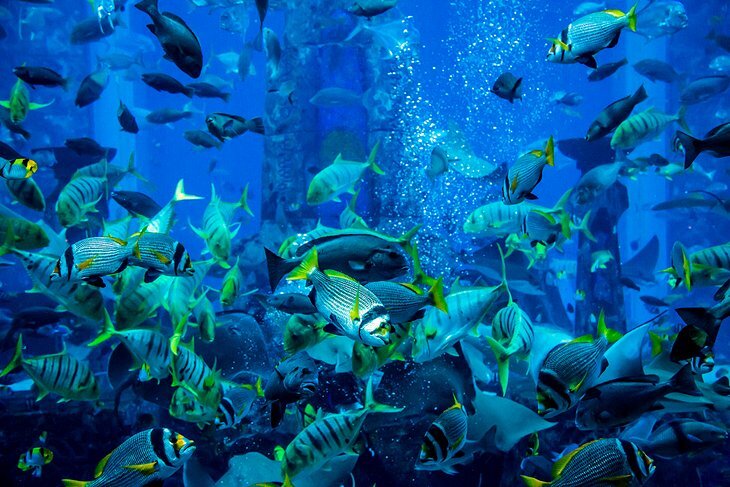 In addition to the Dubai Mall where you’ll find a huge aquarium fish which different types of marine organisms, amid shops famous fashion brands. 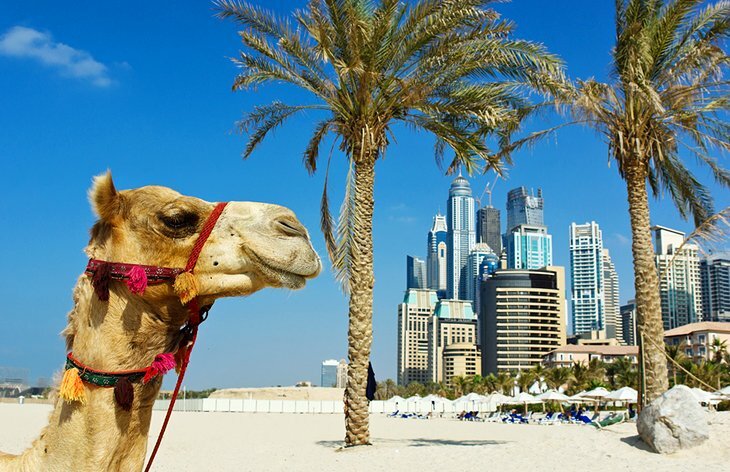 You may forget even for a moment during your visit to Dubai that there is a vast desert outside the city limits, but the tour companies in the city did not miss this opportunity, through organizing a safari desert. 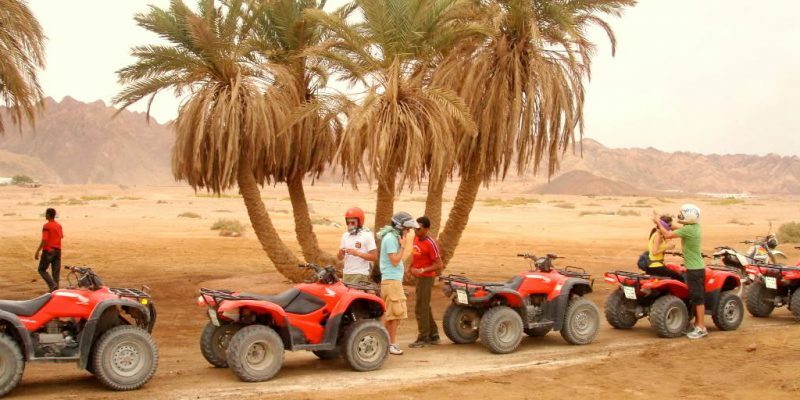 These trips include riding SUV or quad bikes wheels over the sand dunes, visiting camps and private middle of the desert restaurants for dinner and attend concerts. Dubai visit is not complete without going to the gold market, which is located in the central business district of Deira (the area on the north bank of the creek). 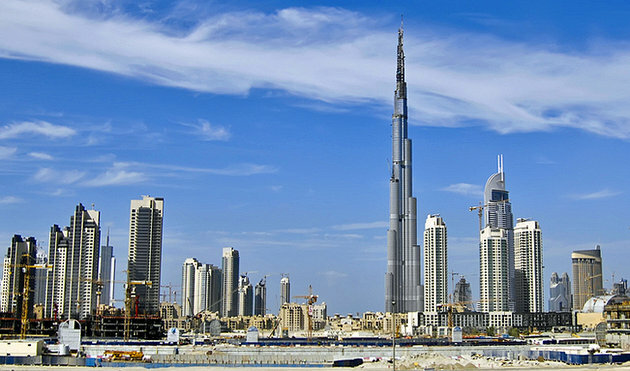 This market is the main center for the buying and selling of gold in Dubai, where the estimated quantity traded the day with ten tons of gold. 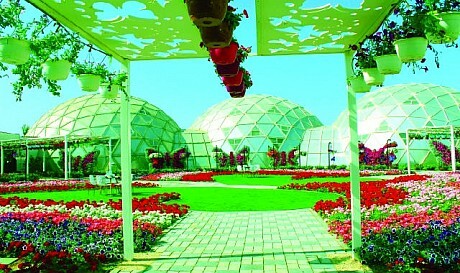 Dubai offers of entertainment What is suitable for all ages, in addition to gaming centers in shopping malls include leisure facilities in Dubai Gardens water park Wild Wadi and Aquaventure Waterpark, public parks and skating rinks, as well as dedicated to lovers of adventure skydiving and riding balloons diverse water sports activities. 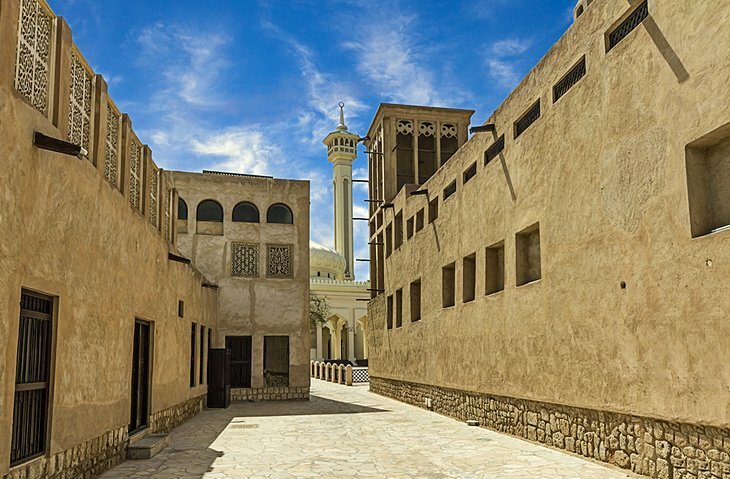 If you want to diversify a little bit and change the atmosphere of the modern city and the rapid rhythm, you can visit one of the old areas of Dubai popular as a live Bastakiya, Bur Dubai, which is also known as the “historic district of Al Fahidi.” Date back to the creation of this district in 1890, has been preserved the architectural heritage of this region well to this day. You can also visit the Al Fahidi Fort, which houses the Dubai Museum, in addition to the local art shows, museums, monuments. 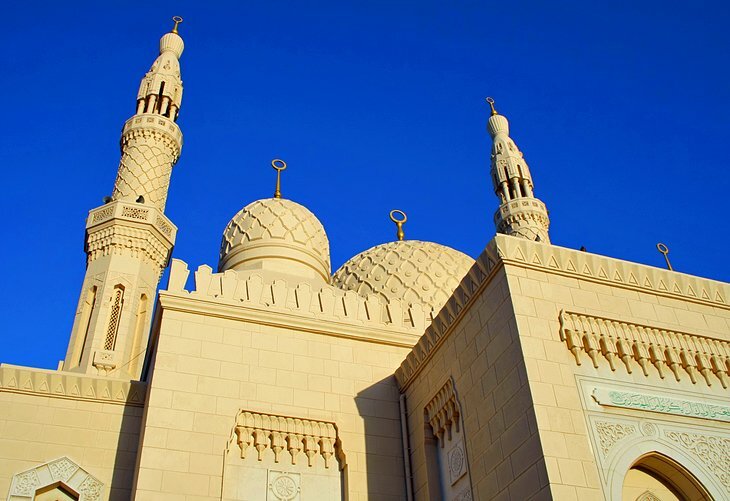 Dubai opens the doors of mosques for all, under the slogan “Open doors, open minds” launched by Sheikh Mohammed bin Rashid Al Maktoum Centre for Cultural Understanding, allowing adherents to visit various mosques and watch them from the inside religions. 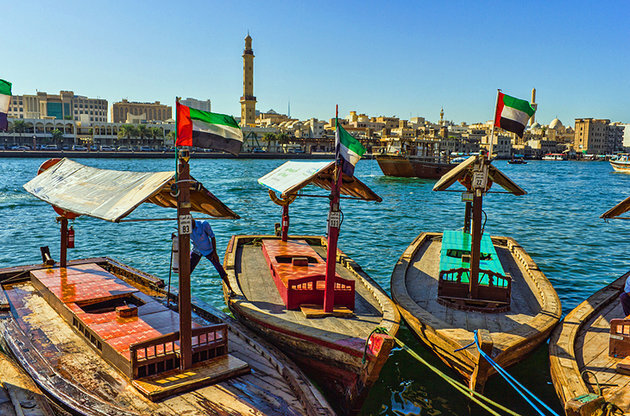 Cleaves Dubai Creek city into two parts, north (Deira) and south (Bur Dubai), which is a natural port for dhows. Several local tour operators organize cruises aboard traditional vessels equipped with modern engines, these trips are characterized by giving passengers a view of the high-rise buildings of the city from a totally different angle, which is to provide dinner on board the ship. 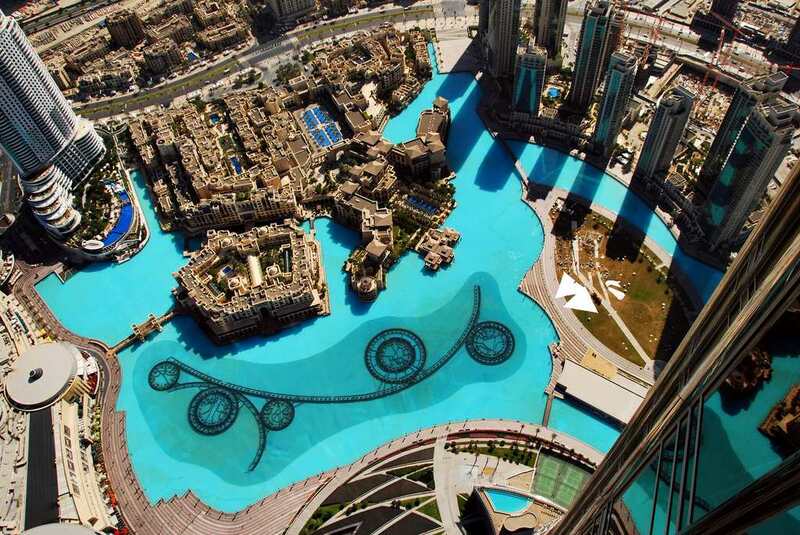 The Jumeirah Beach Residence area (GPR ) and Dubai Marina (Marina), the newly created, one of the largest areas of man-made of its kind in the world, where a lot of cafes and world-renowned restaurants, including the restaurant “Franquez Bar & Grill” for Schiff Italian Frankie Dettori, and the restaurant “Twente 10” Chef “Gary Rhodes,” in addition to the marina, where the Dubai Marina yacht Club.